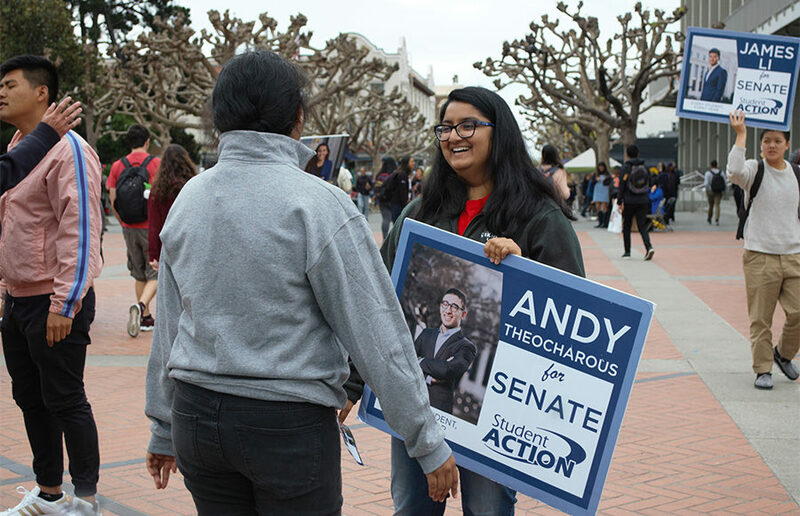 After more than a month of campaigning on many different platforms — ranging from striking up conversation on Sproul Plaza to mass-messaging students on Facebook — ASUC candidates pulled out all the stops this week in a last-minute effort to vie for students’ votes. For the candidates, Wednesday night signified the end of the relentless campaigning that ASUC elections call for. For CalSERVE executive candidates — Juniperangelica Cordova for ASUC president, Nuha Khalfay for external affairs vice president, or EAVP, and Rizza Estacio for academic affairs vice president, or AAVP — the last few days of campaigning consisted of returning to the communities they sprang out of, or their roots, as CalSERVE party co-chair Romario Conrado said. “(We’re) making sure our respective communities know the vitality of having representation in ASUC,” Conrado said. 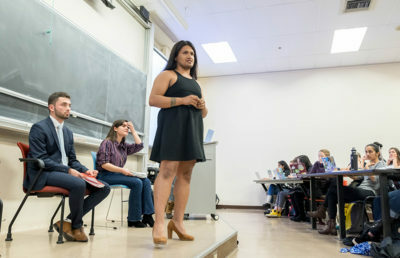 In a similar fashion, Student Action executive candidates — Alexander Wilfert for president, Hung Huynh for executive vice president, or EVP, and Melany Amarikwa for AAVP — spent the final week of election season “taking the high road and focusing on their campaigns,” according to Student Action party co-chair Bianca Filart. 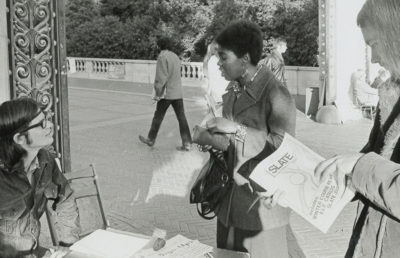 Even in the homestretch of campaigning, there’s always someone new to talk to, according to campus freshman and Defend Affirmative Action Party, or DAAP, presidential and senatorial candidate, Stephanie Gutierrez. 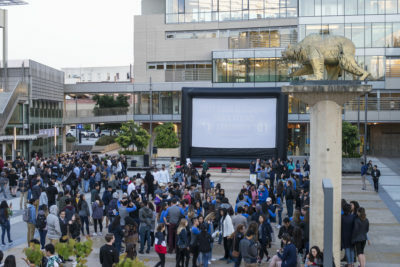 She said that she used this final week to make announcements in lectures and encourage individuals who had signed a pledge to vote for DAAP to spread the word. Now that voting has closed, Gutierrez said she has no regrets. “DAAP is providing students with the leadership they have been waiting for,” Gutierrez said. When asked how he would have campaigned differently, independent candidate and campus sophomore Ishan Sharma said he wished he committed to the election sooner rather than later. He hypothesized that if he had run with a party, he could have been “both feet in” sooner. For independent candidate and campus sophomore Ashley Nelson, the past few days have been filled with personal messages to thank voters for their support, a tactic she described as stressful but important. In addition to getting her name out, student advocate candidate and campus junior Sophie Bandarkar spent the final week of the election emphasizing the importance of voting for ASUC elected officials in general, according to Bandarkar’s campaign manager Josephine Chiang. “I don’t think people understand how much money the ASUC sits on and directs,” Chiang said. “People are ready to start fighting for what matters,” Leeds said in an email. The results of the 2018 ASUC election will be tabulated and shared with the public Friday. Contact Janani Natarajan at [email protected] and follow her on Twitter at @jrnatarajan.